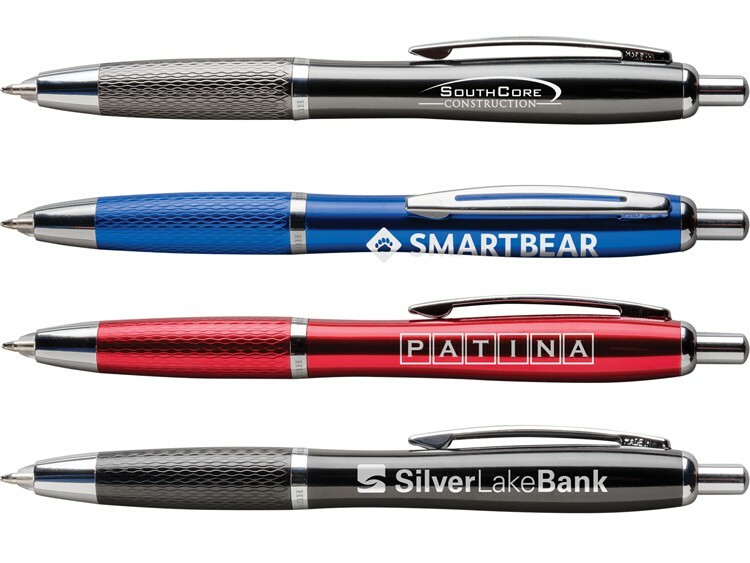 Elegantly appointed multifunction executive pen features unique engraved accents. Converts to a bright and powerful LED light with a double click. Ergonomically shaped in high gloss enamel with a shimmering knurled grip. Supersmooth writing black ink.